Have your cake...and petit four too! 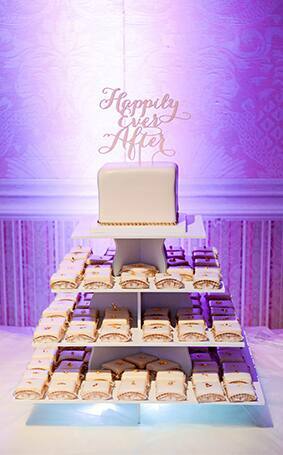 This week's Wedding Cake Wednesday is a double feature with a fresh take on "his and hers" cakes. 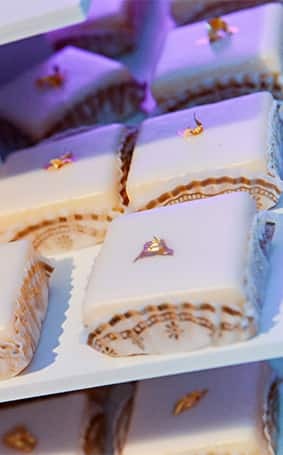 I fell in love with London and Joey's Walt Disney World wedding and I know their cakes were the talk of the reception. 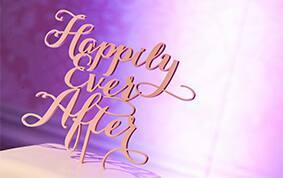 The bride's cake is made up of three tiers of petit fours, each featuring gold flake accents, finished off with a "happily ever after" cake topper. 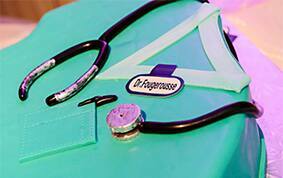 The groom's cake featured his very own doctor scrubs and came complete with an edible stethoscope, name tag and Disney inspired band-aids. 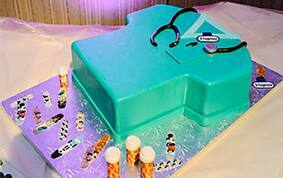 A doctor's appointment never looked so yummy!